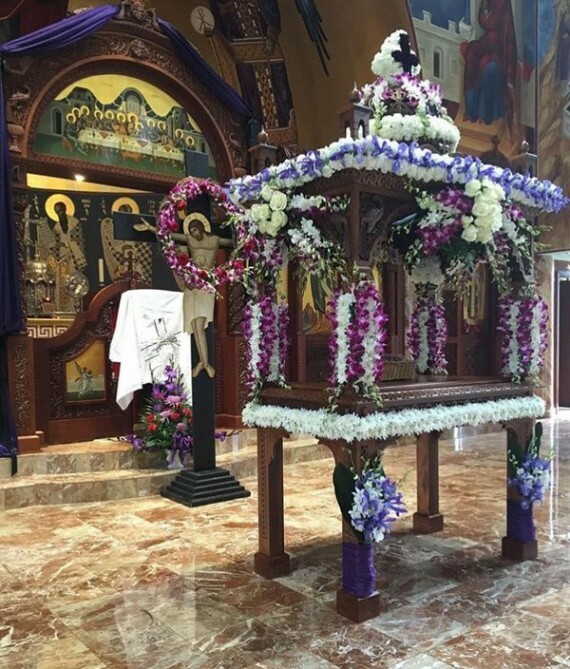 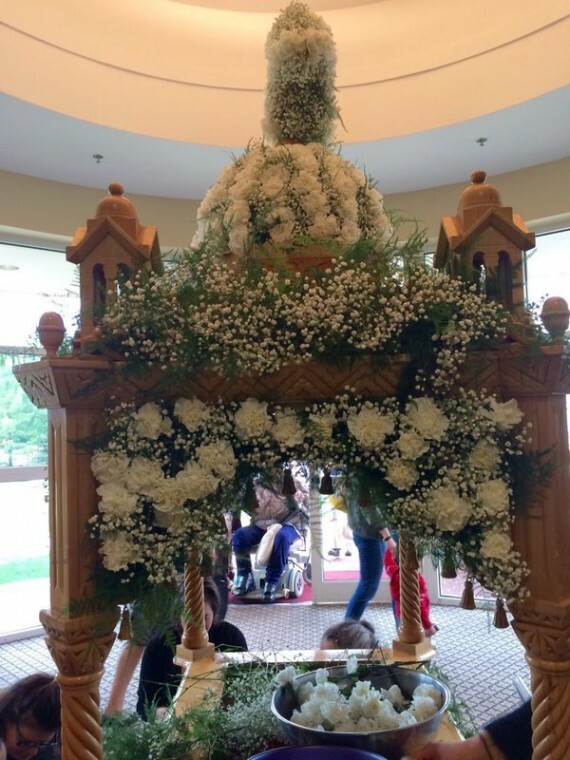 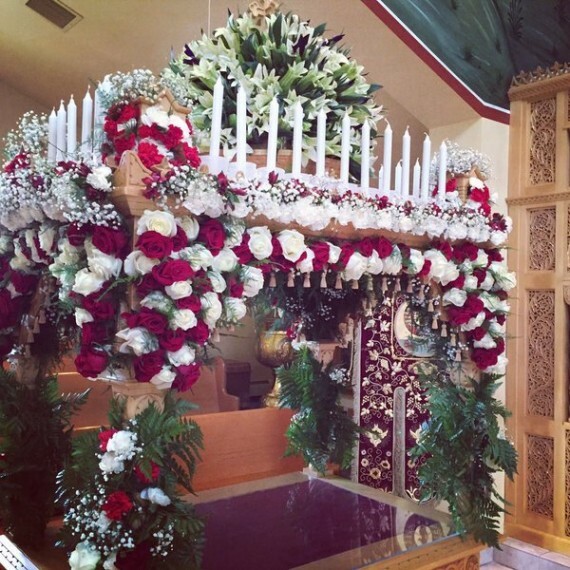 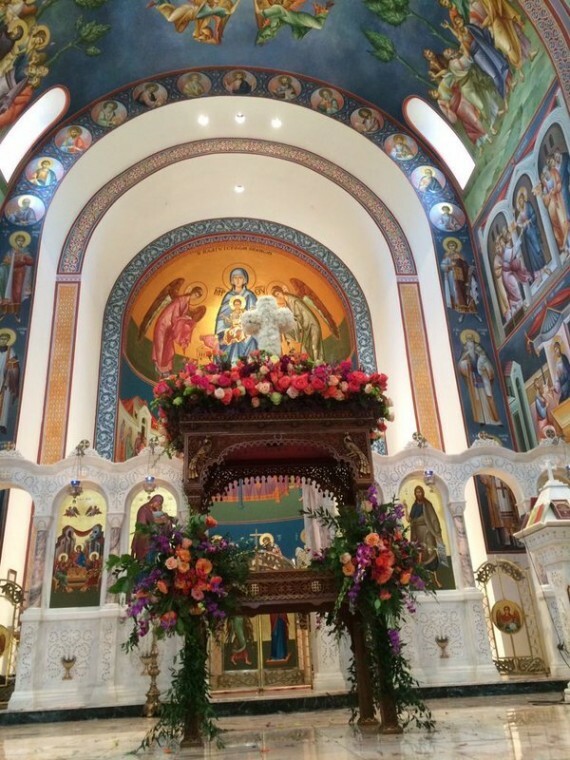 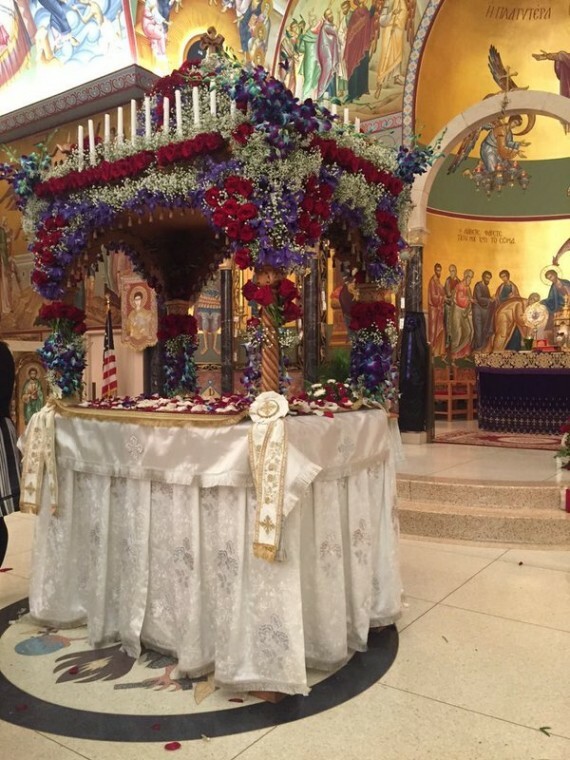 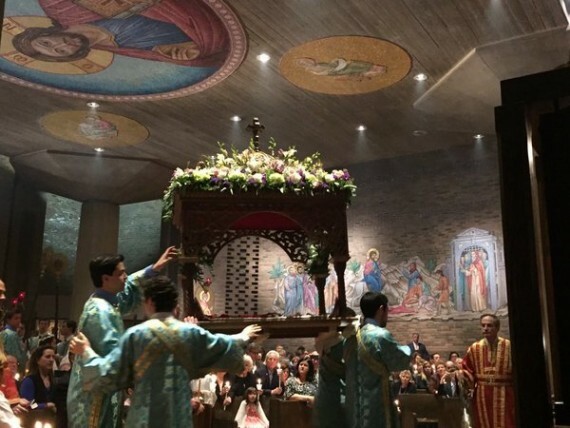 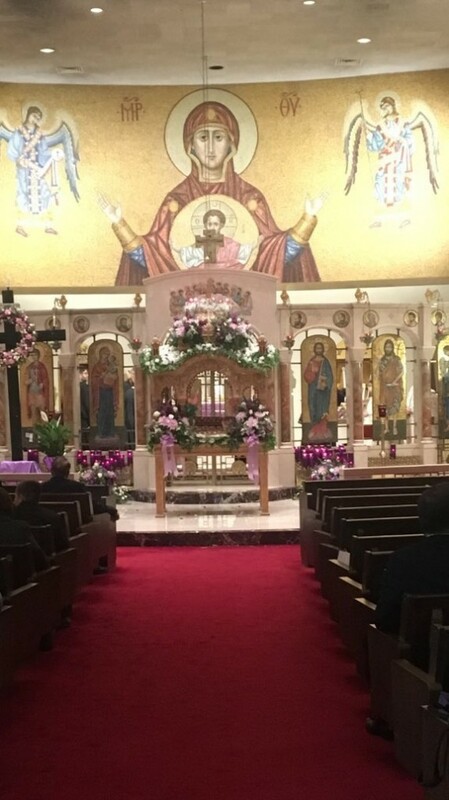 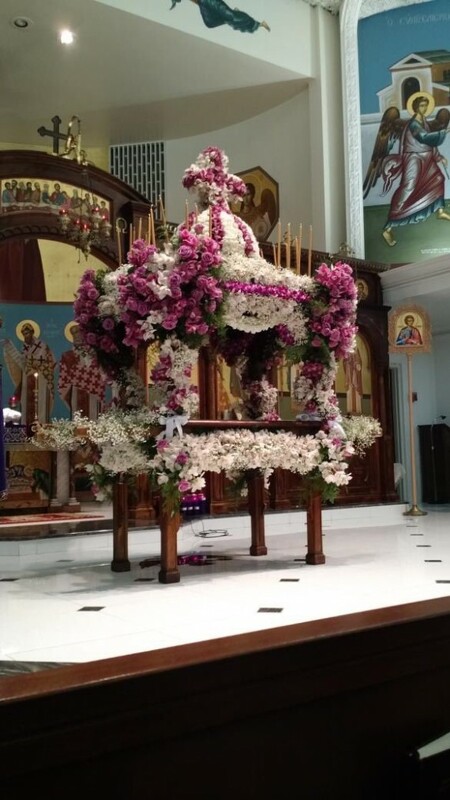 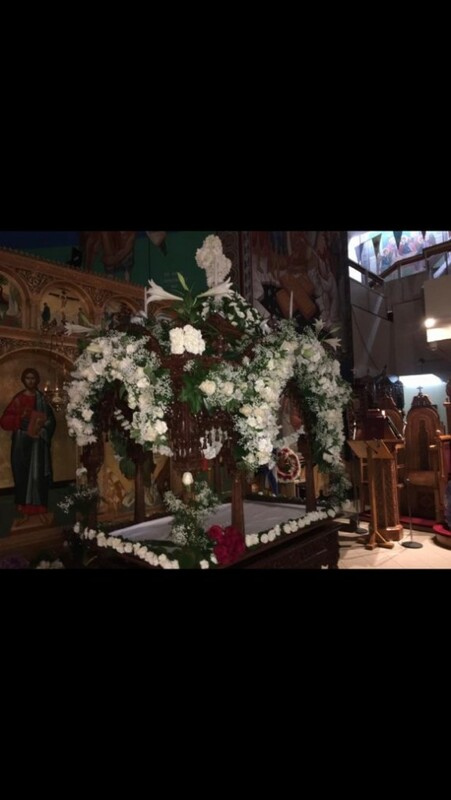 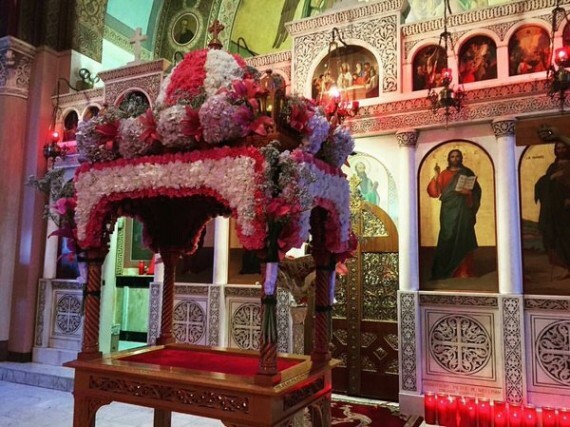 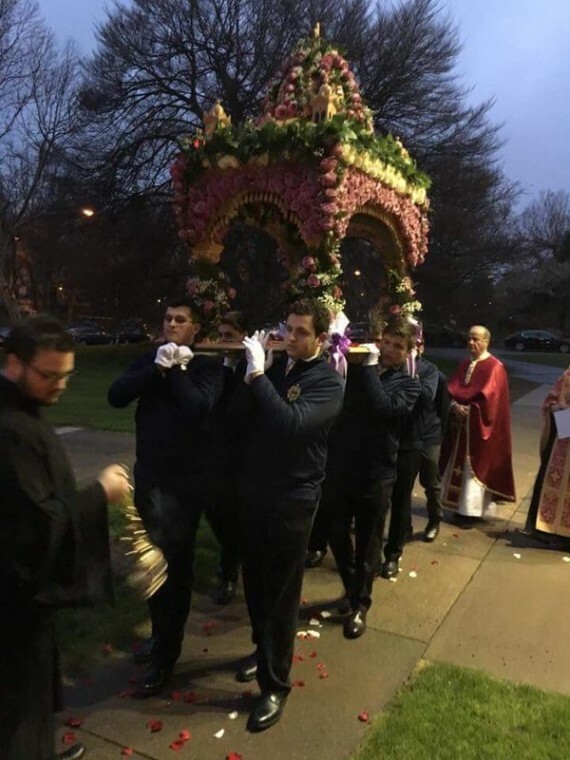 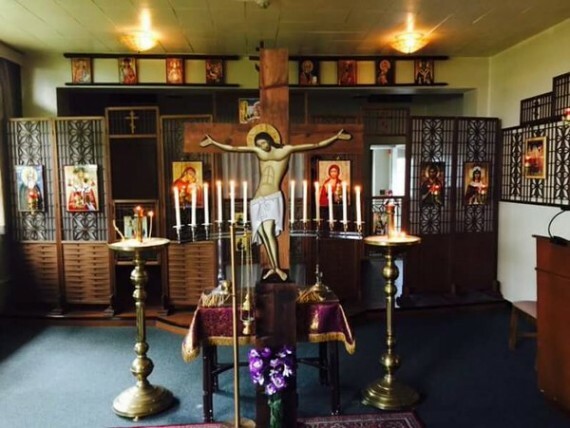 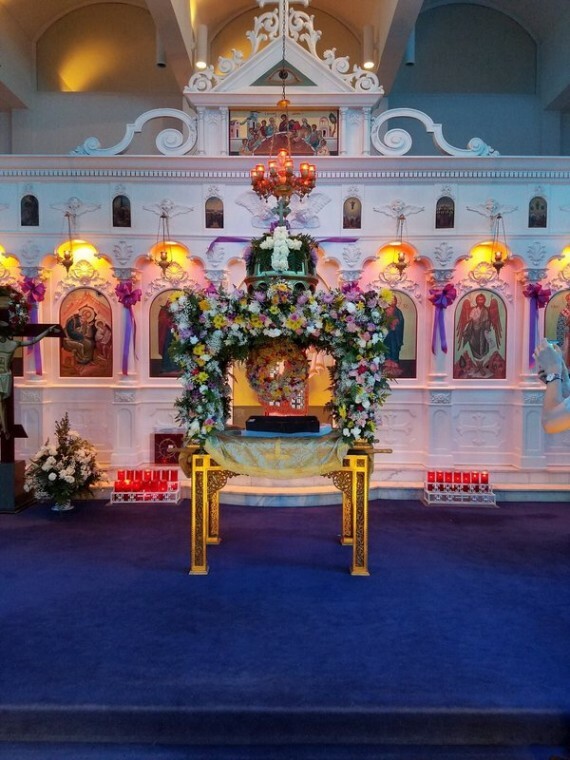 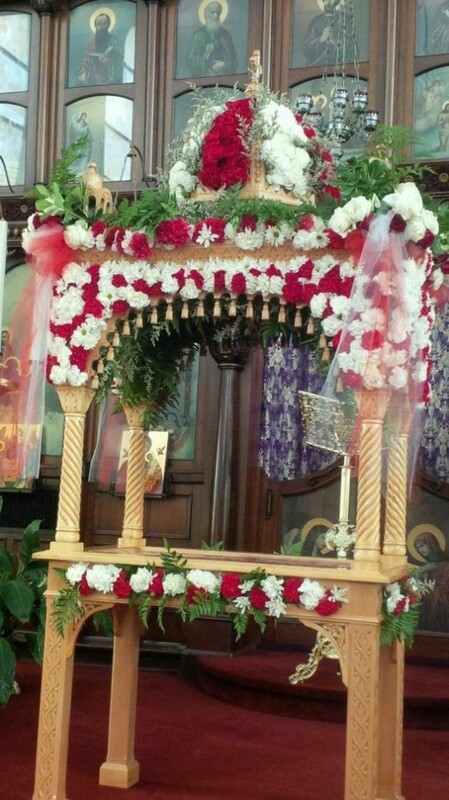 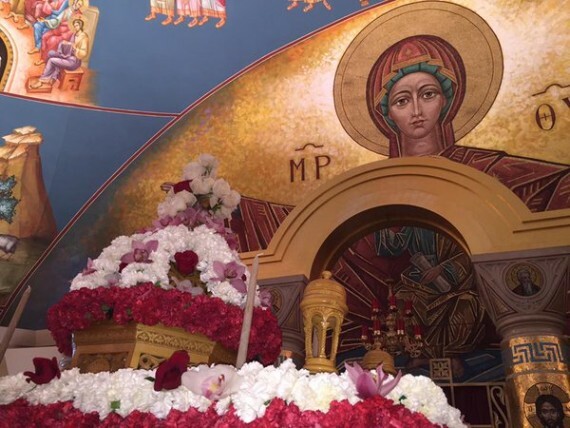 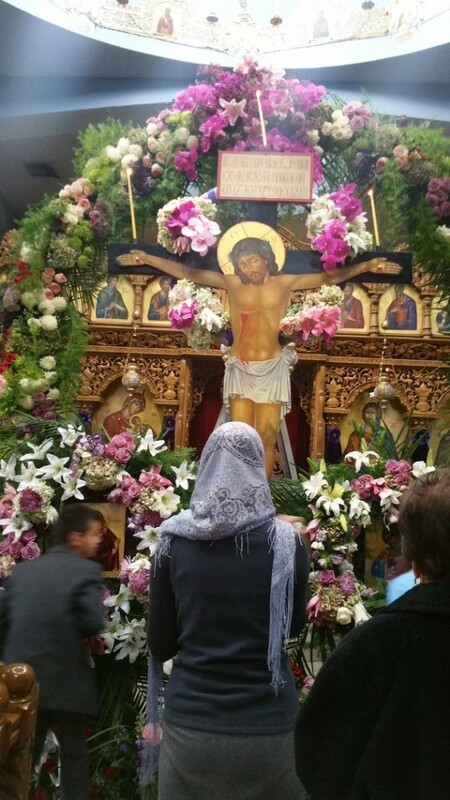 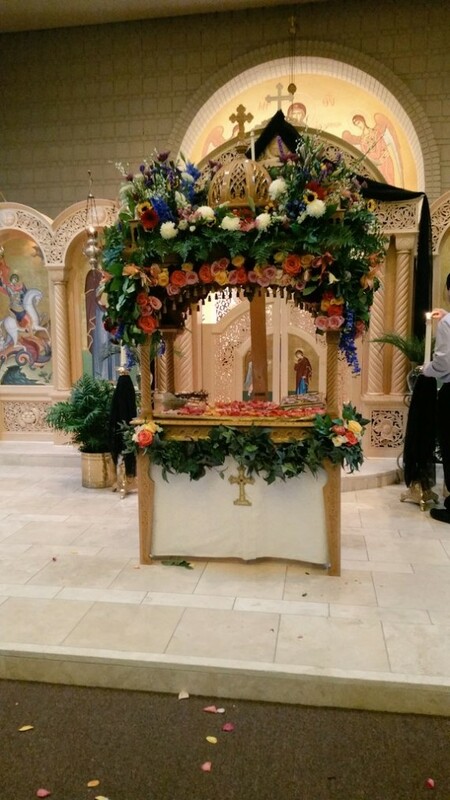 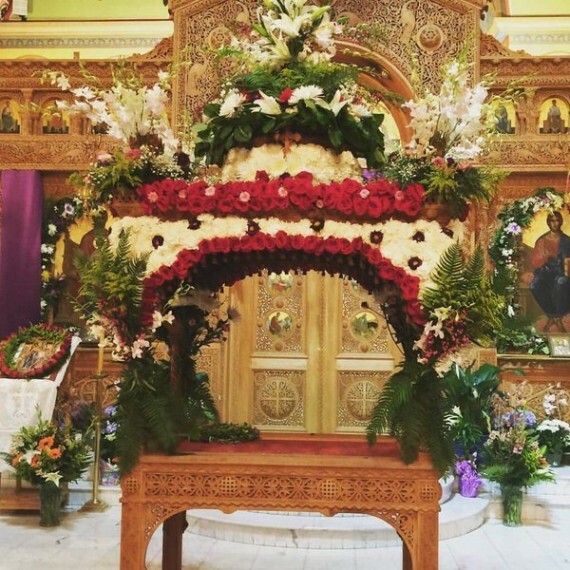 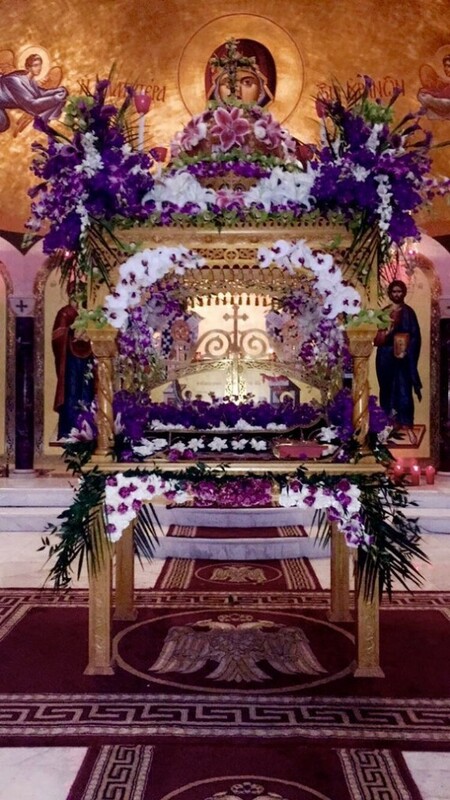 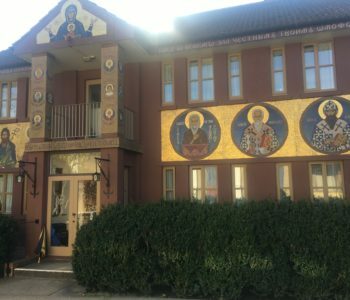 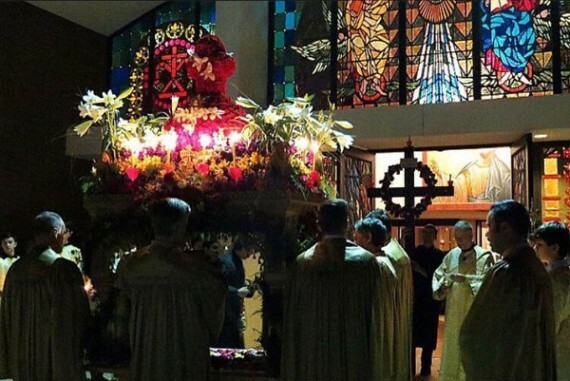 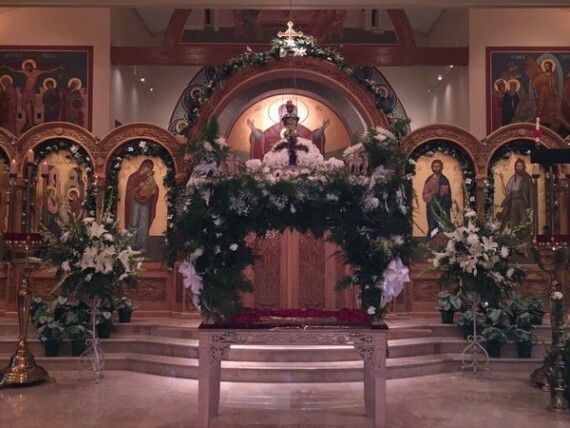 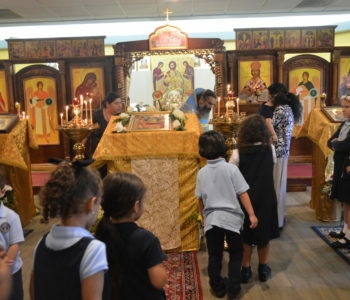 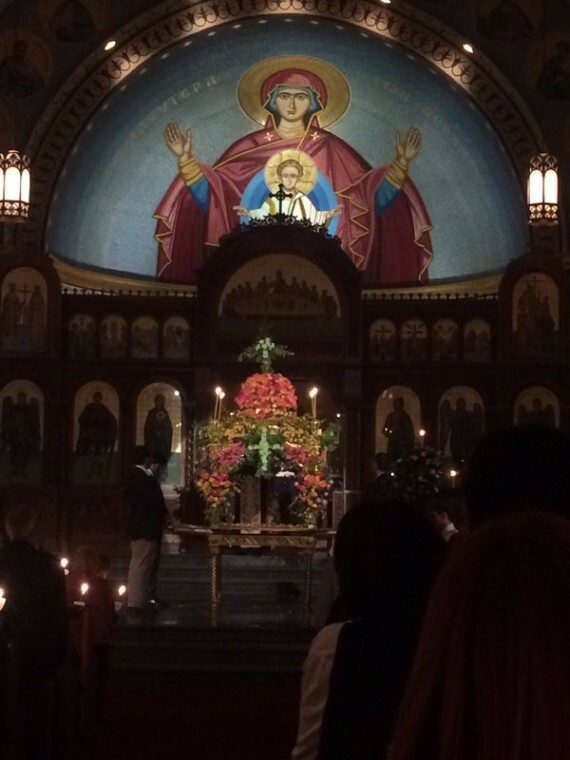 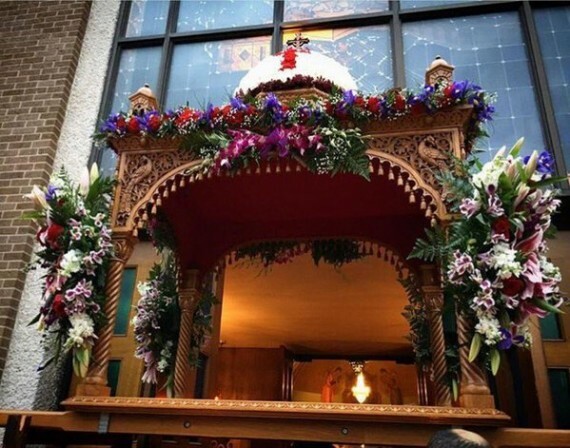 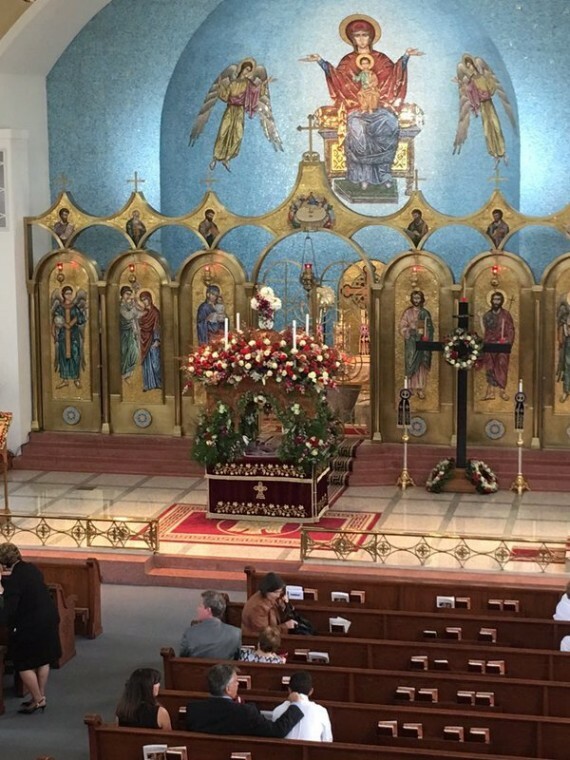 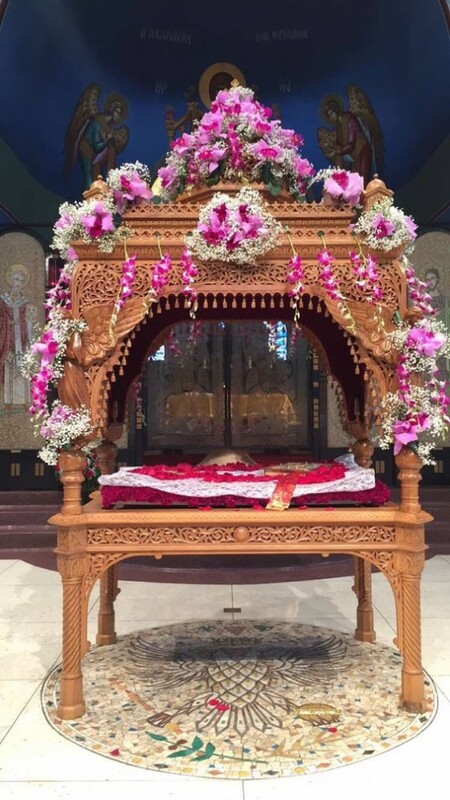 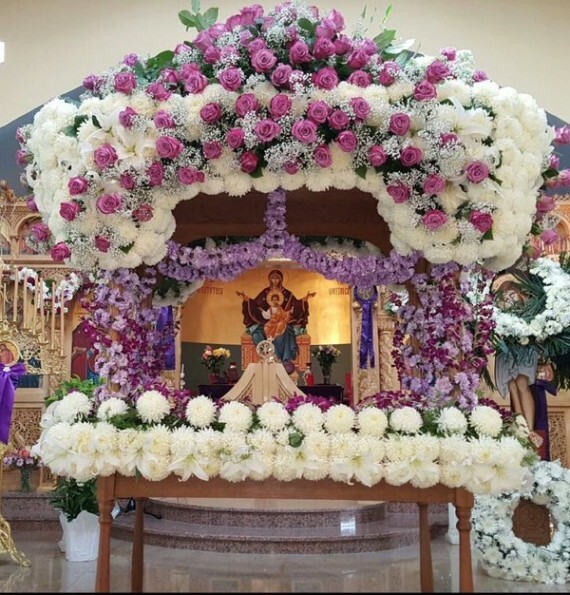 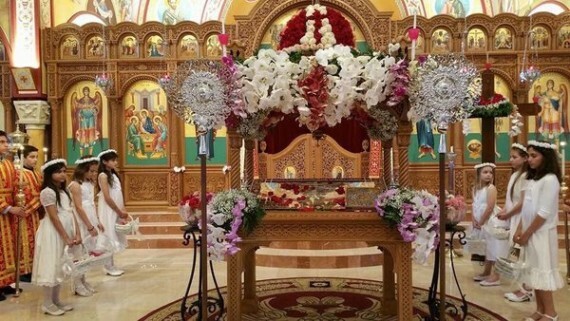 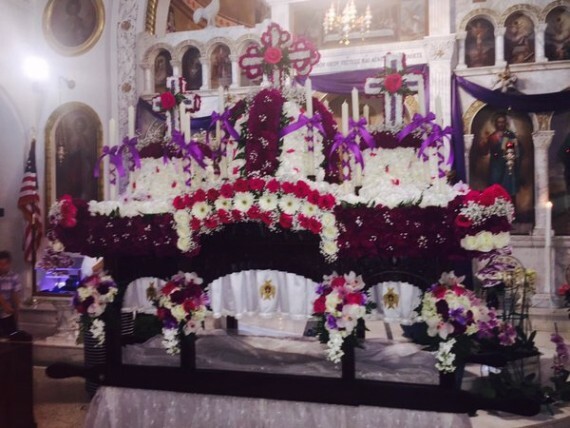 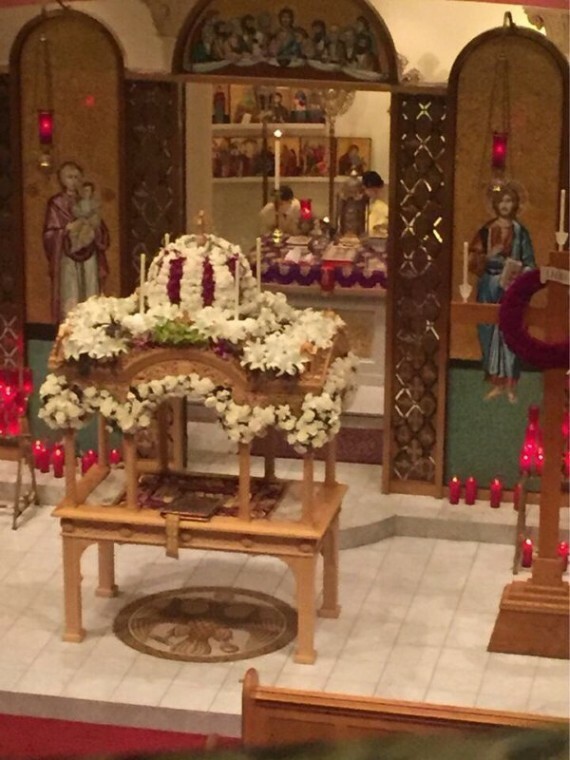 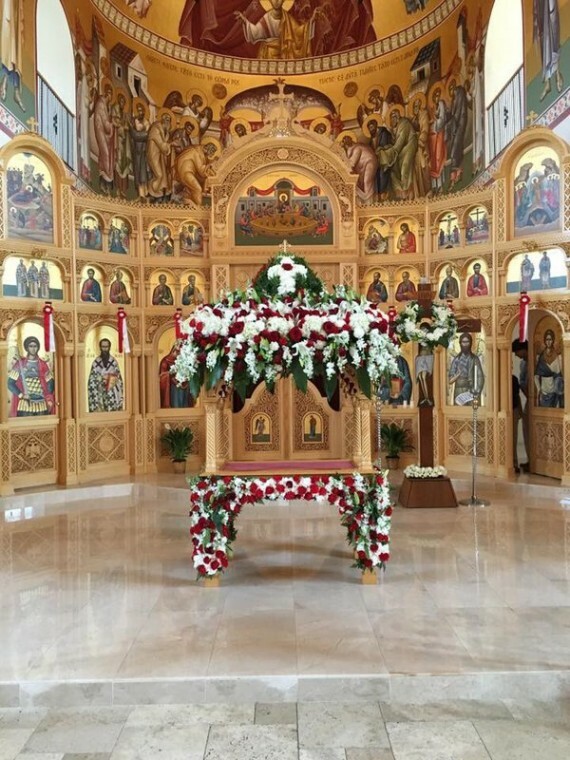 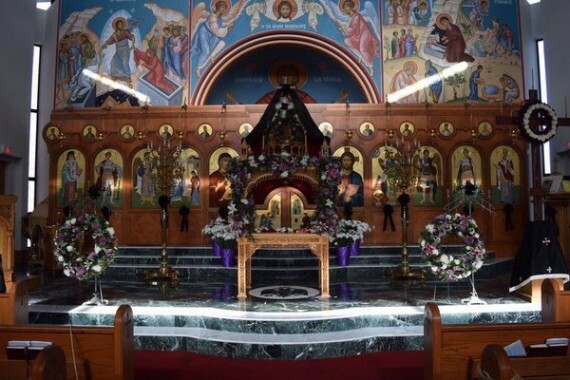 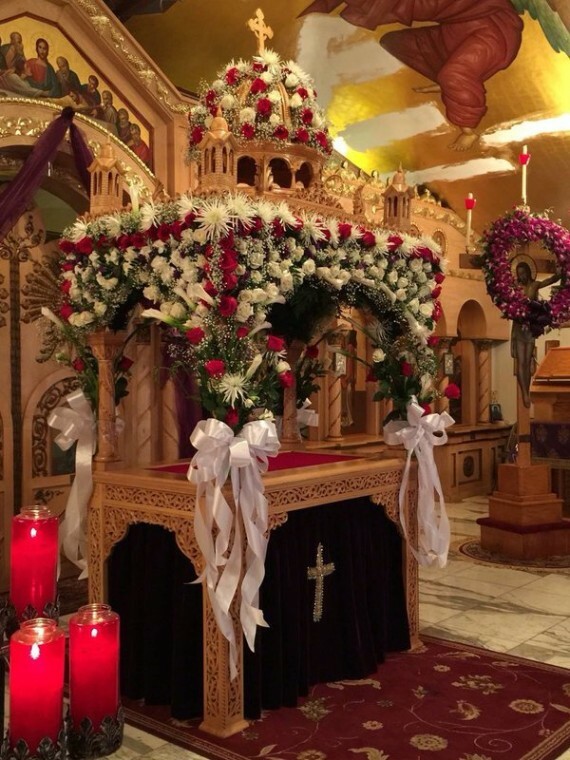 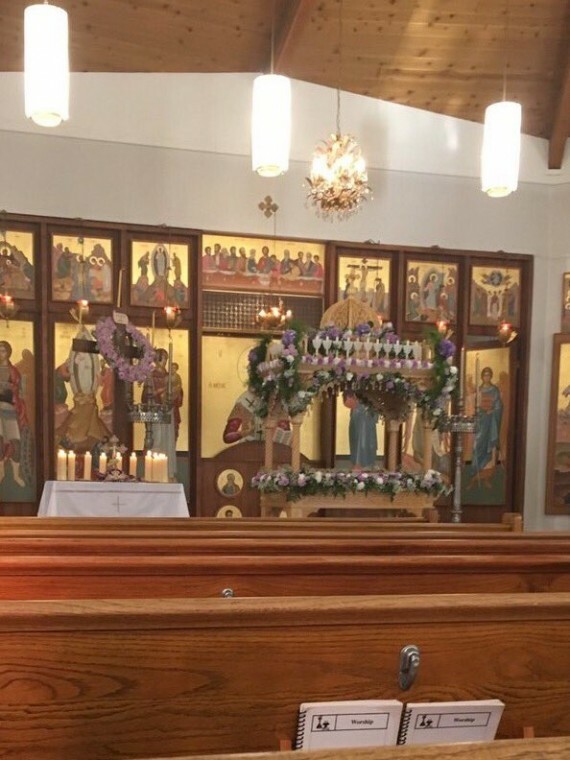 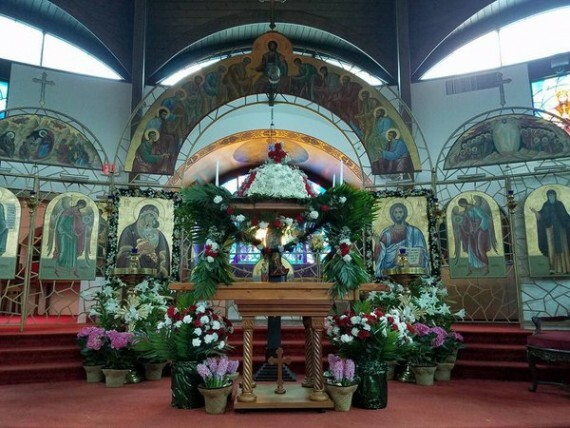 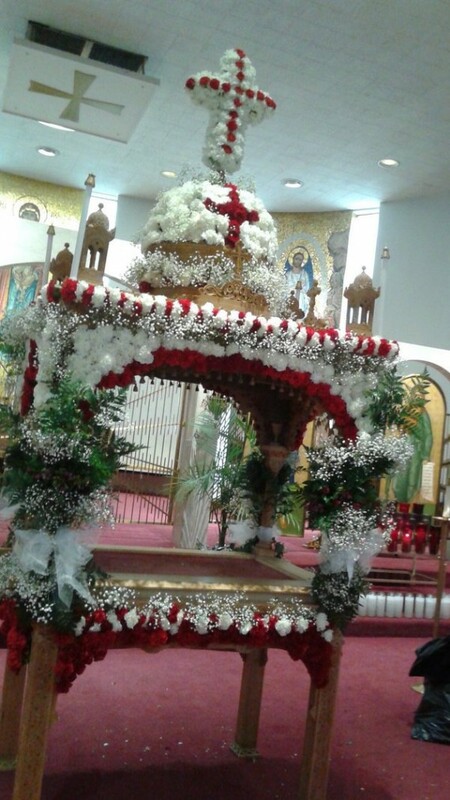 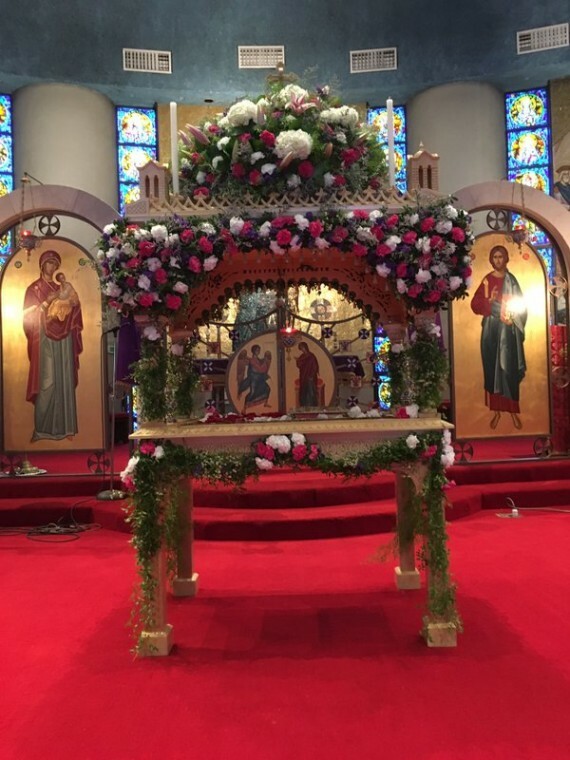 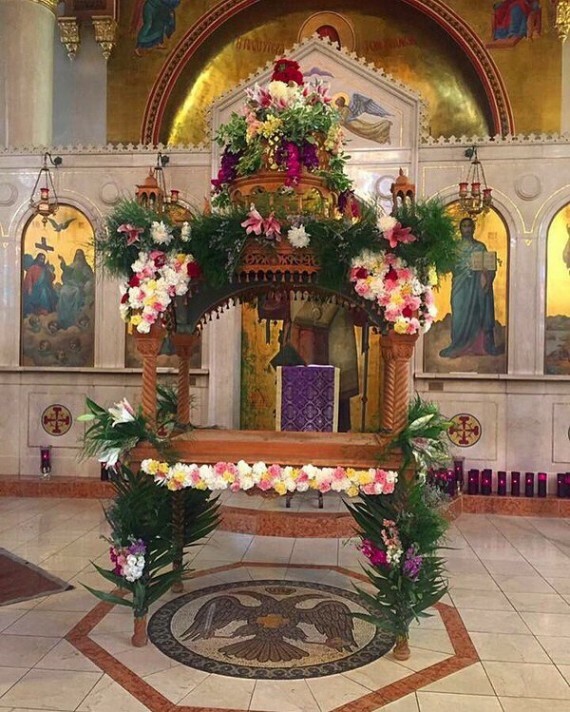 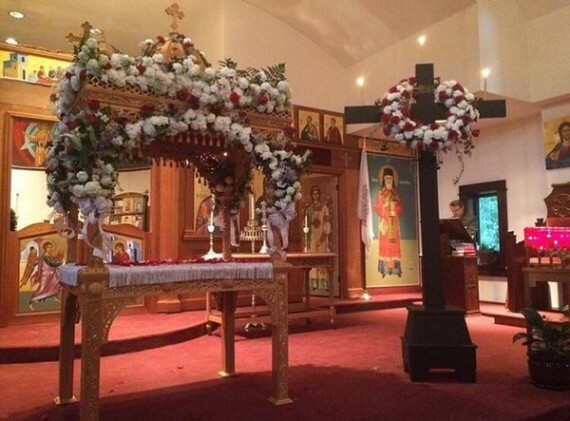 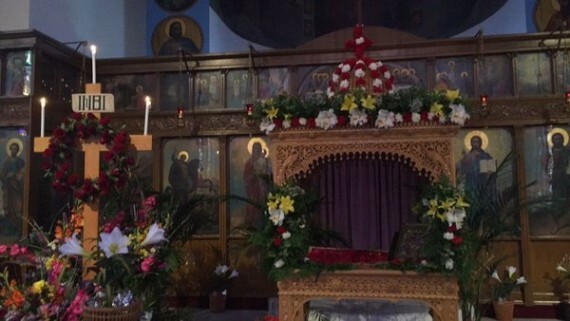 Thanks to a Twitter campaign of @greekkidproblems, we are spreading the beauty of the epitafios tradition from Greek churches all over the US (well most of them anyway.) 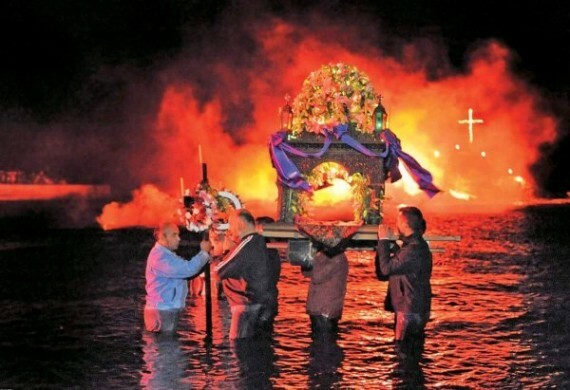 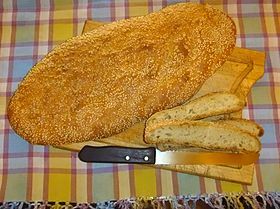 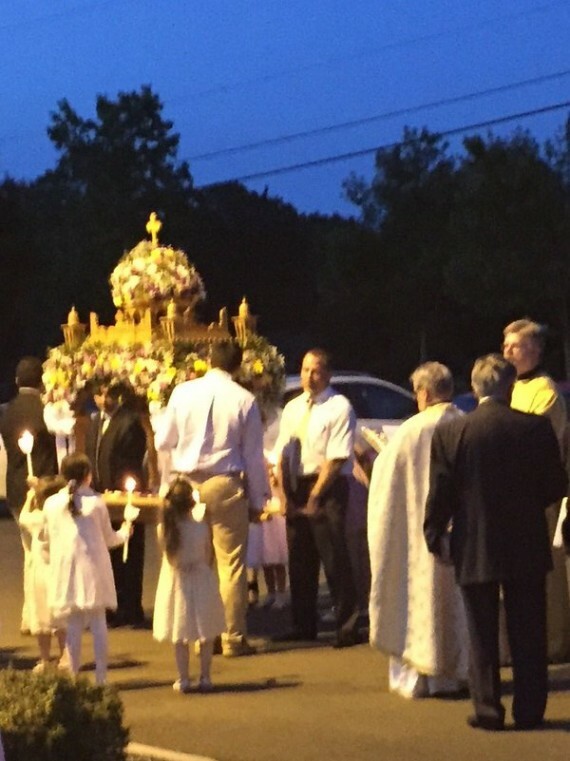 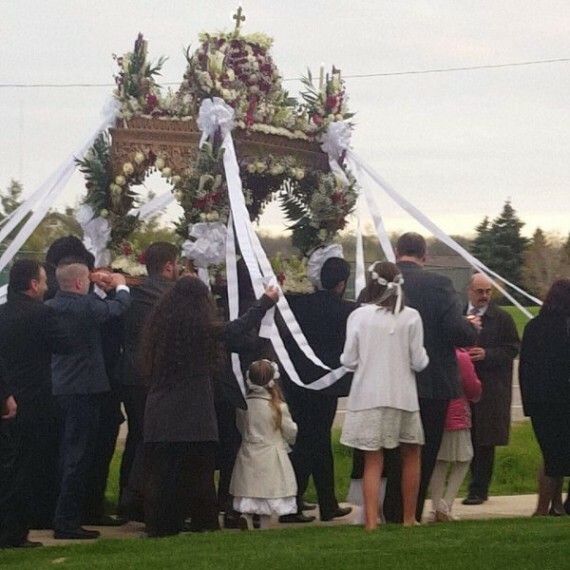 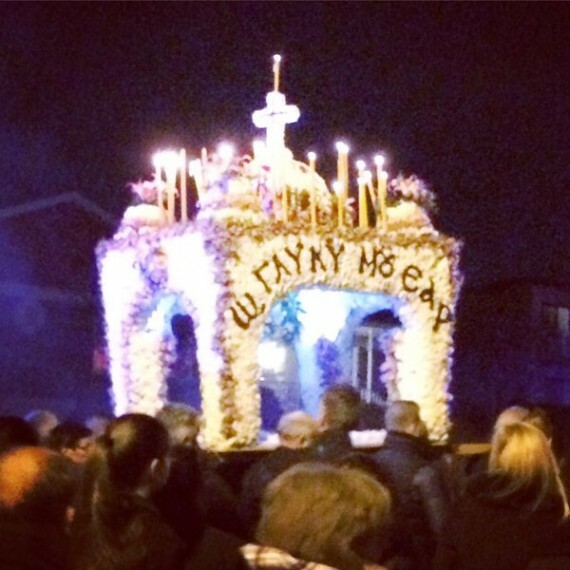 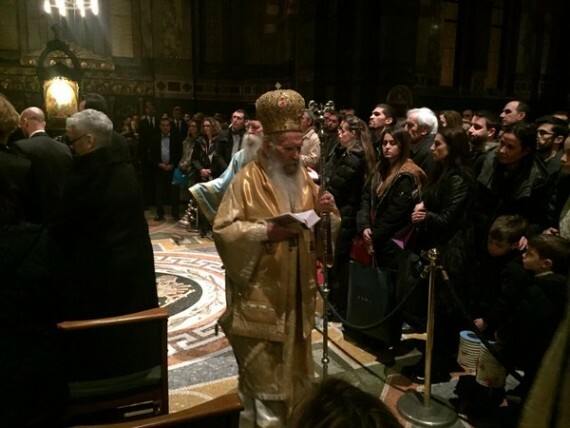 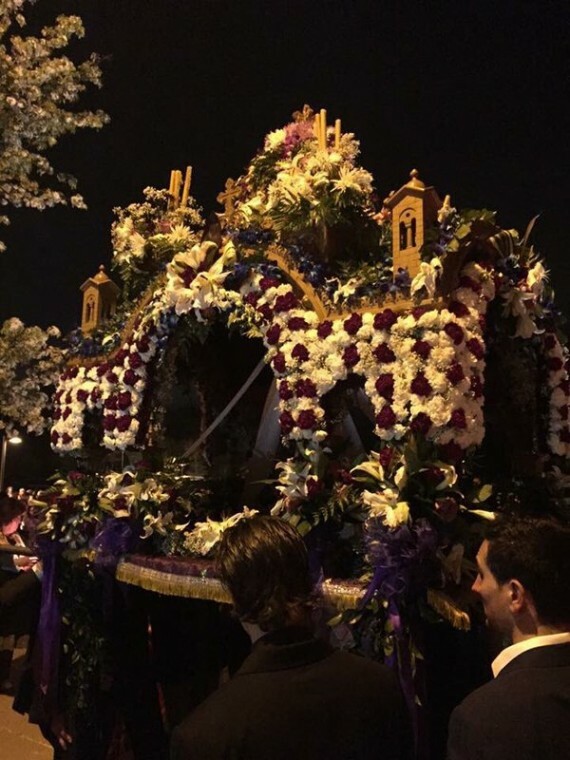 Who says Greek Americans don’t keep the epitafios traditions? 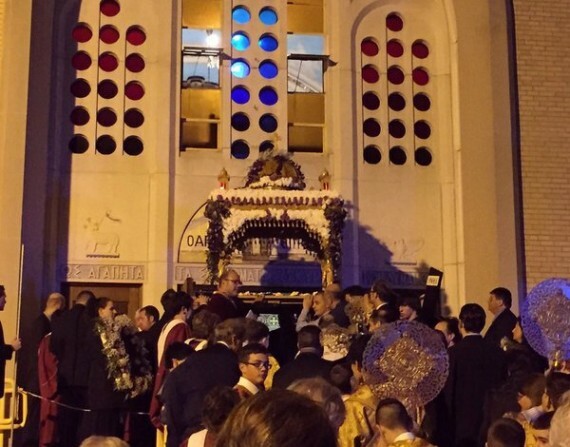 Neither rain, nor snow, nor traffic and red tape can keep these Greeks off the streets behind the precious epitafios. 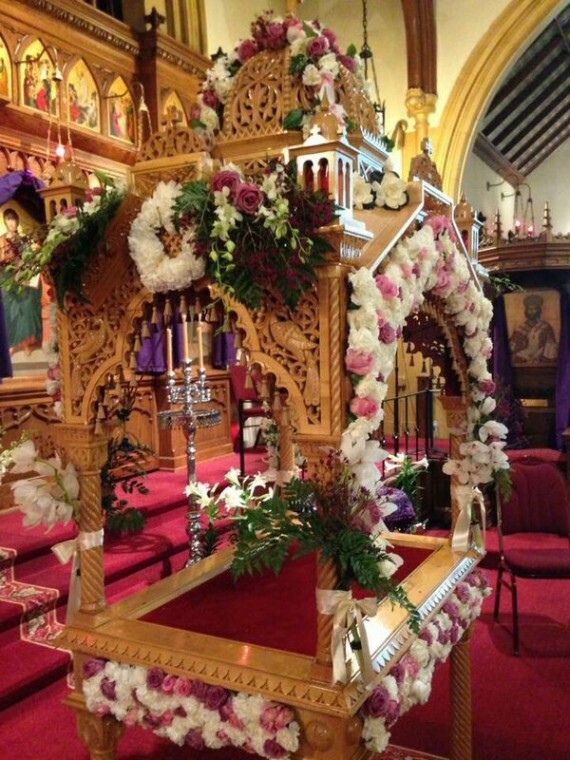 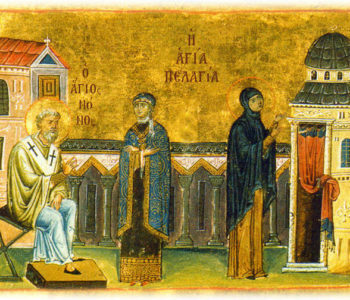 By the way, (insert My Big Fat Greek Wedding father accent here) did you know that the English word, “epitaph,” comes from the Greek word “epitafios” that means the stone above the grave? 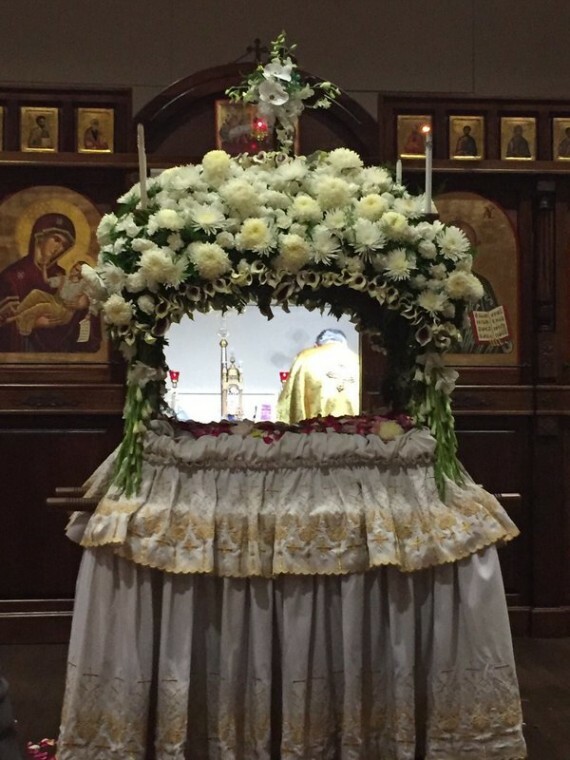 Just to be precise, however, the rounded structure that surrounds the body of Christ is called a “kouvouklion.” The epitafios refers to the richly embroidered icon created on a large cloth, embroidered and often richly adorned. 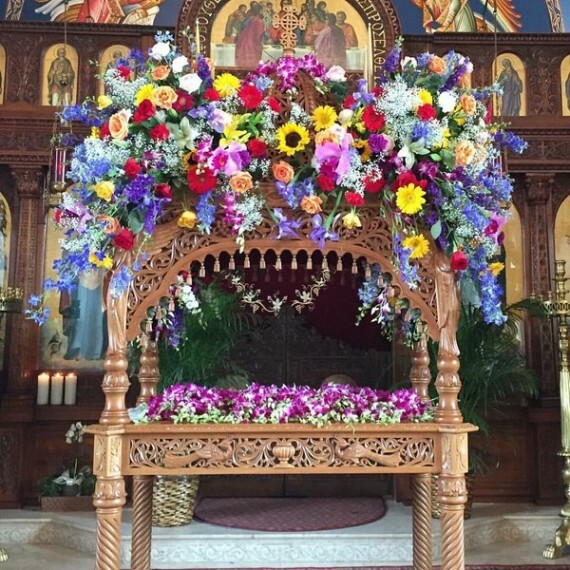 The kouvouklion is a wooden canopy also richly carved. 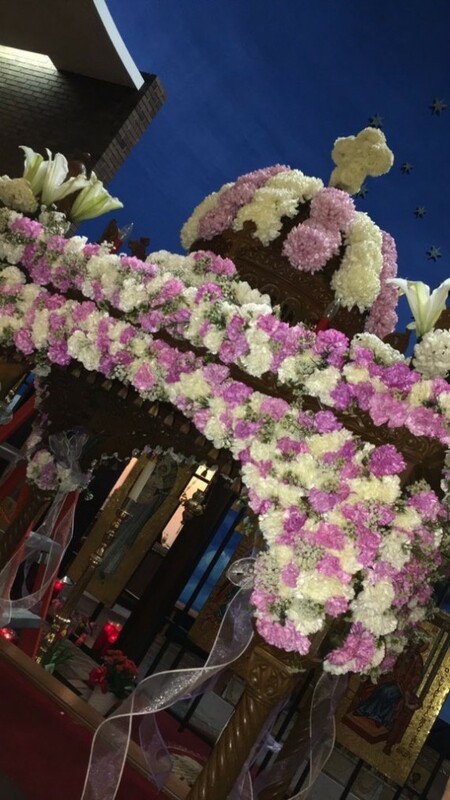 It is this canopy that we decorate with flowers, candles, and petals. 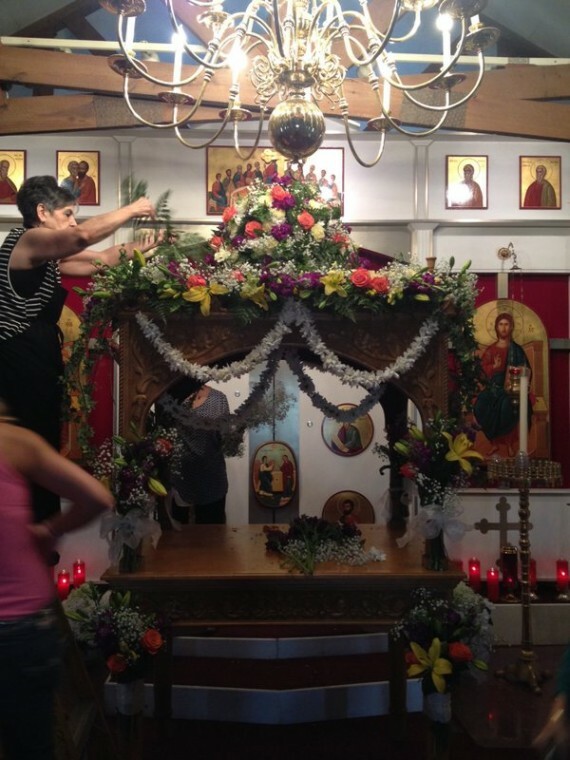 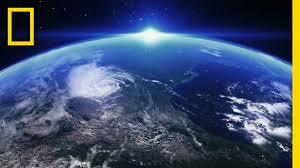 Of course, the competitive nature of our Greeks comes out as pride. 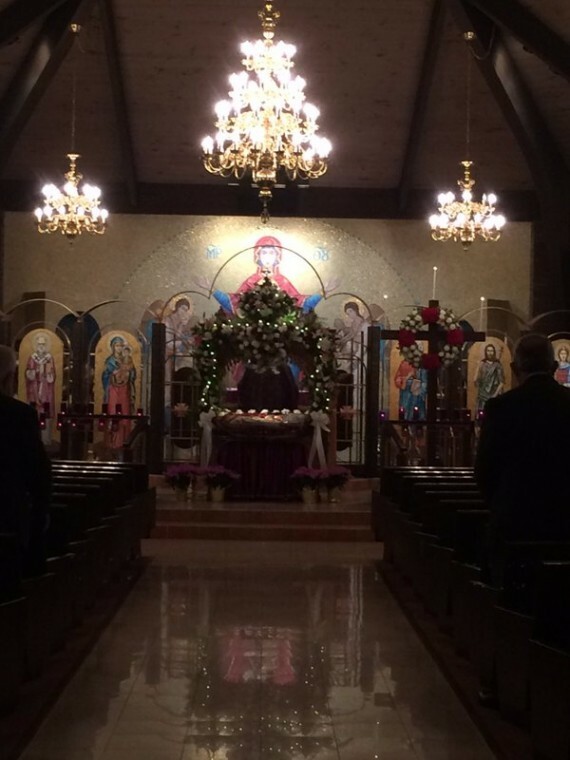 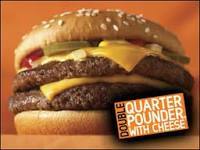 Everyone thinks their epitafios is better than the guy’s down the street or the church’s across town. 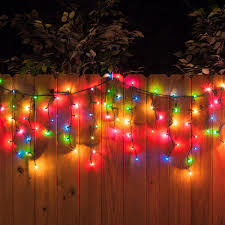 You decide which is your favorite. 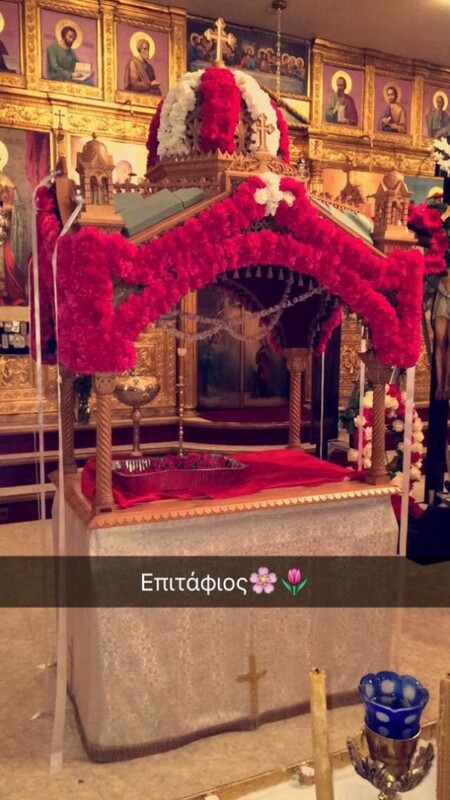 If yours is not listed, tweet us at @greekamgirl with pics of your epitafios and we will upload to the gallery. 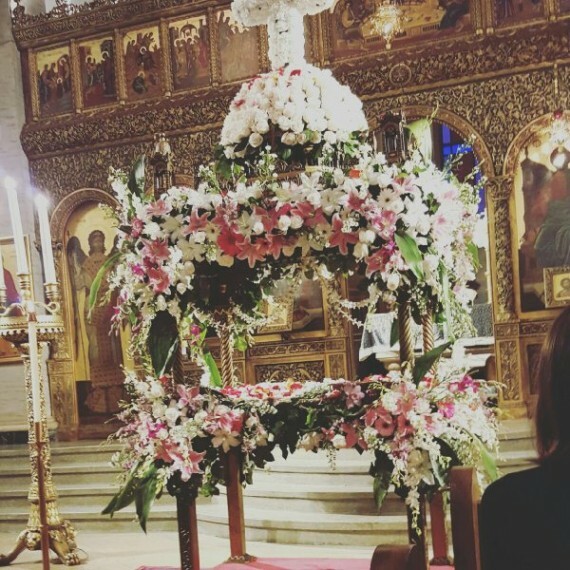 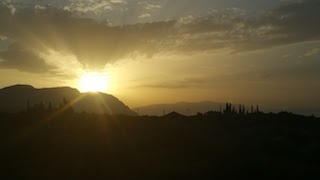 Kali Anastasi!